Capital: a Creature of Bureaucracy and Law. 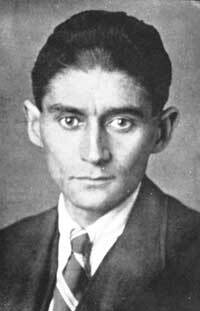 Kafka would be pleased. We mentioned in the last post a scenario where capital transcended human ownership, and became – through law – an entity in and of itself, lording it over mere humans. It sounds far-fetched, but is it? The discourse on inequality is about wealth accumulation of a small number of people, but it is essentially a discussion about the centralization of capital, where fewer and fewer people control that capital. Now, as the number of people controlling the capital decreases, the question arises: what happens if it gets down to two people, or one person, controlling the preponderance of capital? There are political answers to this, and social answers, but – for now – let’s consider the financial side. International Computer Solutions (ICS) is an imaginary multi-national computer hardware and software company. It has manufacturing plants in China, Software development centers in Romania, Brazil and California, and a network of sales outlets around the world. Its focus, however, is on providing business value, and so it decides to divest itself of all non-core operations and functions. First, it gets rid of its buildings – selling them through ‘sale and leaseback’ arrangements to third party property management firms. Then, it sells its sales outlets, and transforms the business into a partner-centric model, selling through partners. Then, it outsources manufacturing and software development to China and India respectively. The management team is now responsible for the oversight of capital (or asset) managers, who through legal contracts with International Computer Solutions now are obligated to provide resources to ICS clients, through the ICS vehicle. Let’s call these capital obligations, often packaged by time. ICS will layer a margin on top, generating profit (additional capital) and using that capital to acquire other companies and grow. At this point, theoretically, International Computer Solutions can operate with a skeleton staff, while having the legally protected capacity to generate capital. ICS has become, in essence, a virtual company. If you think this is strange, think about the shift in big retail away from owning inventory; drop-shipping is becoming more and more common, where retailers sell to the consumer, but fulfilment is executed by the manufacturer. In logistics, more and more of the last mile is being provided by third parties. All of this is made possible by globalisation and technology, instrumenting and connecting assets and people and processes, such that capital value is no longer attached to the fixed asset, but to the legal contract. Some corporate entity still has to own the physical asset. Increasingly, very large asset management companies around the world are emerging and developing skills to own and optimise asset ownership like Australian headquartered Macquarie. Large business process outsourcing firms like India’s Tata are similarly acquiring economies of scale by handling major sections of consumer businesses, like call centres. These companies sweat the asset down to its core value, eking out wafer thin margins on high volumes of capital ownership. Then there are the financiers. The financiers provide the cash to make the whole system function. They facilitate cashflow, and growth. For example, an imaginary capital company – HiCap – who decides it’s going to acquire property might want to buy the network of sales outlets from ICS, our hypothetical company mentioned above. So let’s say ICS has 1,000 outlets, each valued at $500,000 on average, that’s $500,000,000 for the properties. HiCap will essentially leverage the sale – borrowing the $500m from an imaginary bank – BigCash – which goes to ICS, and then HiCap signs a rental agreement with ICS for 20 years at $30m per year. Repayments to the financial services company will be, perhaps, $28m per year for 20 years. And so HiCap can generate $2m profit (capital) per year, as the bank generates $3m per year in interest, in simple terms. ICS will use the $500m to buy more assets, to acquire more capital, and the cycle continues. As these transactions become more competitive, and tighter, corporations now begin to trim their profit margins in order to win business, including the banks. The squeeze on margin goes all the way back to the consumer, the person who bought some software in an ICS sales outlet, who now has to pay an extra $2, in order to compensate for reducing margins either at ICS itself, at HiCap who owns the physical store, or at BigCash the bank who financed the deal. BigCash itself operates in a maelstrom of capital derivatives, leveraged instruments, and financial engineering. There are hedge funds, corporate financiers, banks, advisors, and countless entities established for the purposes of tax avoidance, currency hedging, and other capital optimisation functions. Within this environment, capital swarms. It grows and it evolves and it festers and establishes for itself defences against encroachment. Capital in this environment it seems is never destroyed, it simply moves from one contract to another, from one corporation to another. Like the giant stone discs on the island of Yap, we have returned to a kind of externalisation of capital. It exists outside of us, save where we have a contract claiming it as ours; but it really exists in its own universe. From fractional reserve banking all the way through to corporate capital exchange (such as dollars for real estate), everything is leveraged to a greater or lesser degree. Growth attaches to capital in that rents can be extracted, and therefore the promise of future capital returns can offset the initial burden of compensating for capital acquisition. In essence, we borrow to buy, like a mortgage on a house. There are therefore two kinds of capital – one could be termed ‘real’ capital, which often depreciates, as its value over time declines, like a car, or a computer; and the other ‘latent’ or ‘potential’ capital, representing the future capital return from a capital investment. So where is the ‘real’ capital? Where, perhaps more accurately, is the real value of capital stored? Who actually owns it? Herein lies the dilemma. It’s not really owned by any one person, nor even by any one group of people, except in some communist countries like North Korea, and – to an extent – China. These managed economies at least attempt to exert some control over capital allocation, or the allocation of the social value of capital – food, shelter, and derivatives like healthcare and education. But elsewhere the nation state ‘corporatizes’, and looks to the private sector for service provision, consistently – and perhaps unwittingly – yielding the potential capital of the state to the great big capital stores in the sky. By extension, the inaccessibility of capital, making it effectively redundant, is the real problem with so-called inequality. It is not that one man is richer than another, not even when he is wildly so, like a Bill Gates or Warren Buffet. It is, in fact, that capital, while not being destroyed, is being placed beyond the reach of people. Real capital simply does not release itself; real capital protects itself. That is why Marx said capitalism would fail; that is why capitalism has been seen to fail in so many ways. It is why in the richest countries on earth, there are riots, people unable to afford doctors, and other forms of racial, social, religious and political inequality. Where this is most pronounced, those are states that slip down the Failed State Index, or the Human Development Index. When effective distribution of the social value that is the yield of the management of state capital is weak, where stores of social value are limited, States become illegitimate. They lose their relevance, people become detached, and the State capital is itself compromised as a result.